In our previous article, Agitator Design for Wastewater Clarification Part 1, we looked at how to optimize a mixer for the unit process of coagulation. In wastewater treatment, coagulation is normally followed by flocculation. While coagulation is used to destabilize and agglomerate suspended waste particles, flocculation brings the colloids out of suspension in the form of floc, and allows the particles to be more readily removed from the water stream. In this article, we will examine the process of flocculation and how mixer parameters change in order to achieve the desired result. Following the coagulation of destabilized microscopic particles in wastewater, the process of flocculation encourages the newly formed micro-floc to stick together, making even larger clumps as fully formed floc. When the floc become sufficiently large enough to settle to the bottom of the fluid (sedimentation), or float to the top of the fluid (creaming), they can be more easily removed through filtering. This process can happen spontaneously, but is more often due to the addition of a clarifying agent. The flocculation process utilizes very different formation mechanisms and chemicals to form flocs. 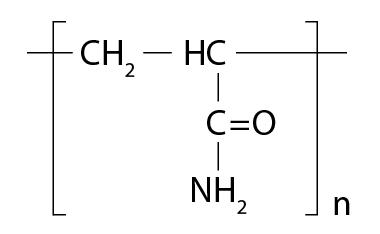 An often used flocculant chemical is a long chain organic polymer such as polyacrylamide. In wastewater applications, the organic backbone of polyacrylamide can actually be a copolymer with one or more other chemicals added; giving the polymer localized ionic charge of positive or negative, or in some cases both. Ranging from high to low molecular weight, polymers can be cationic, anionic or both, with a high to low charge density. Because of this, they can be engineered to suit very specific flocculation applications. A polymer is designed to use two mechanisms to flocculate coagulated waste particles; electrostatic attraction and bridging. These charged forms of polymer enhance the mechanisms that attract and bridge the coagulated particles, increasing and improving the flocculation process. Orthokinetic flocculation is the mechanism in solution which attracts and bridges colloids in order to create flocculation. Mixing induces velocity gradients that cause micro-flocs to agglomerate and form bigger flocs. The rate of flocculation is controlled by velocity gradient applied during mixing, or by how many of the polymers approach or contact the coagulated waste particles. This is much the same as coagulation in terms of mixing. However, in flocculation, the amount of time the polymer and coagulated waste particles are close or in contact greatly influences the floc formation. Vigorous mixing of the entire reacting volume is required to maximize the contact of micro-floc, but not so intense as to not allow the contact to stick. High velocity gradients bring many of the reactants together but do not allow time for the flocs to form. Also as the flocs grow, high velocity gradients cause higher shear rates that can break up or rip apart the newly formed flocs giving rise to the term “shear sensitive”. As the flocculation process proceeds, larger and larger flocs are formed. The larger flocs have an increased sensitivity to shear, meaning they can easily be broken down and are often difficult to reform. When looking at mixer design, these processes lead to long tank retention time, with high volume, low shear agitation. A careful mixing balance is made by moving a large volume of water very slowly, as to not break up the newly formed flocs. This mixer design is critical to the three main costs of the process; Time, Amount of Chemical Usage/Efficiency, and finally the Water Quality. Time, Resources and Quality, are all dependent on a well-designed mixer. Consideration is given in the mixer design to lower the mixing intensity as the flocs get bigger. For batch processes the agitator commonly has a variable speed drive so the agitator RPM can be slowed during the batch cycle. For continuous processes, multiple tanks with different speed agitators are used allowing an optimized overall retention time but with decreasing mixing intensities or G factor through the tanks to optimize floc formation. Predicting or exactly designing an agitator with optimized RPM is difficult for it depends on many variables including incoming waste water variability. For continuous process optimization, variable speed drives are recommended on all agitators in multi-tank systems so that changing process conditions can be continuously optimized by testing the flocculation results and adjusting agitator RPMs accordingly. Mixing is a unit process in practically all industrial processes, but one mixing solution does not fit all. Understanding the overall process and what is trying to be achieved by mixing leads to an engineered and correctly optimized solution. 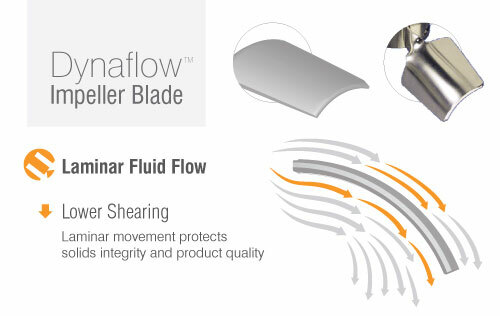 A high-efficiency DynaflowTM blade creates the low shear axial flow that is crucial in achieving floc formation, and avoiding the breaking apart of newly formed floc. Impeller sizing needs to observe an optimal impeller diameter to tank ratio in order to provide good mixing and dissipate the imparted mixer horsepower over a wide area. Impeller tip speeds need to be relatively low to maintain low shear and are calculated based on the mixer RPM and blade type and size. The mixer motor horsepower is calculated based on the G-value, which is either specified by the engineer or calculated based on residence time. Because the residence time for flocculation is considerably longer than flash mixing, the mixer needs to be configured with a low G value. However, despite the low G values needed for flocculation, it is still advisable to add an additional 15% on top of the calculated G value to ensure sufficient power. A VFD (Variable Frequency Drive) is also typically recommended. Variable speeds allow the end user to monitor floc formation and adjust the speed accordingly. Dynamix has application engineers that know and understand this process. Make sure you are optimising your process time and quality while using your chemicals efficiently. Make sure your mixer suits your application. If you are unsure whether your current mixer is properly sized, or wish to get a quote for a flocculation mixer, leave a comment or contact us at [email protected], and we will provide you with our recommendations.